"There is no shortage of problems in most people's lives. Couples have problems with communication. Workers have problems with bosses. Teens have problems with parents. Everyone has problems with stress. The problem with therapy is that it often times gives too much airtime to problems! The road to a miracle involves the search for solutions. Keeping an eye out for what works. Having a cheerleader celebrate your success. That's the role I play for you in therapy. I think of myself as a coach for change that leads you to improved relationships or more effective ways of living." 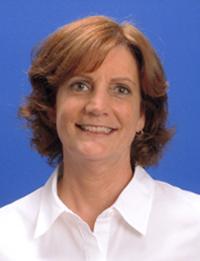 Patricia Stryd has been a licensed Marriage and Family Therapist since 1994 (MFC #32067) and is also CAMFT accredited. She is based in Fremont, California. Her particular areas of expertise are in couples counselling, depression and life transitions. Most days and at various times in the morning, afternoon and evening.